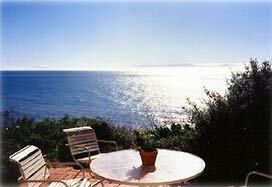 Enjoy fabulous ocean views from this comfortable four bedroom/two bath ocean bluff-top home with pool and spa. This home on the Mesa is a relaxing retreat year-round, but is especially nice in the autumn and winter when the angle of the sun floods the living areas with direct light. Sunsets are a knockout! Lushly landscaped private grounds with many mature fruit trees, exotics, and Mediterranean herbs mimic the native landscape that overlooks the pristine coastline below. The pool and spa are security fenced for child protection. Public beach access is nearby as is the adjacent 40-acre nature preserve with many walking/biking trails. All bedrooms and living areas have floor-to-ceiling glass and sliding doors to access the patio and ocean views in this custom-built 50's style home. Two bedrooms are family suite-style with a King bed in one room and two twin beds in the adjacent bedroom. Close the common door to create a private 2 bedroom setting for parents and small children. Another guest bedroom has patio and pool access and queen bed. The 4th corner bedroom is private and has a queen size bed facing the spectacular western sunsets and also has patio access. 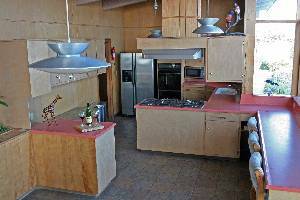 The kitchen is fully equipped and has a breakfast bar with seating for 3 that looks out to bluff-top patio that takes in the uninterrupted views of the unique southfacing coastline. The great room with high ceilings is spacious and comfortable providing a wonderful environment for entertaining or relaxing around the large flat screen TV. The Dining Room, with nearby fireplace, sits in front of a large glass window where families can keep an eye on pool activity just outside. 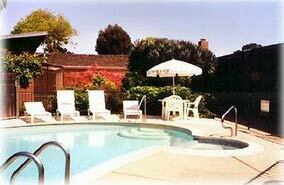 Patio dining for 4 makes for lovely afternoons poolside. The pool and spa are fenced to provide safety for small children. 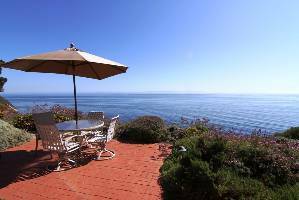 3 bedrooms offer access to the back patio with breathtaking ocean views. A Nature Preserve is just down the street with great walking trails. 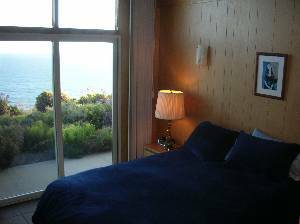 The Santa Barbara beaches, Stearns Wharf, The Harbor and downtown are just minutes away. What a lovely place you have! My family came out to celebrate my mom's 60th b-day and the accommodations could not have been better. We had so much fun just hanging out and playing cards. 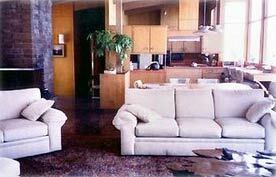 The living area is set-up beautifully to accommodate everybody's needs. The breathtaking views from every room made choosing rooms easy. Both nights we enjoyed listening to the rain and thunder - only to be awakened by the beautiful sunshine. Thank you so much for sharing your slice of heaven. We would love to return. One more thing, we were so impressed with the prompt shower head repair. Thank you!